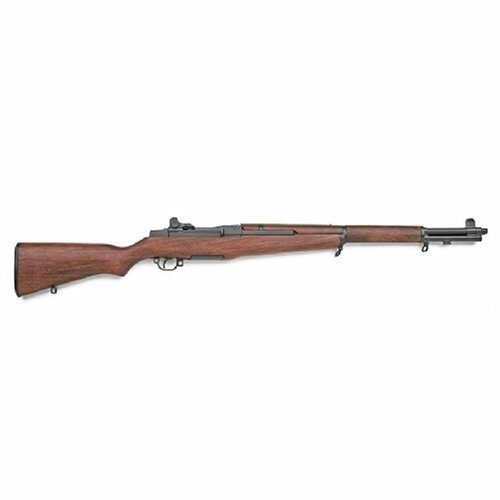 This legendary and dependable rifle made a name for itself in the hands of U.S. Soldiers and Marines throughout World War II, but especially during the island-hopping campaigns of the Pacific. This is one of our best replicas yet. It has an authentic look and hefty feel – just like the original. Made with hard wood stocks, sturdy metal (zinc) and functional parts, this is a premier collector’s replica, perfect for a historical display in your home or office. Note that clip is not functional.